At first glance, the story of a Youth meeting Wisdom seems naïve. But this ordinary perception is just an illusionary barrier, a skillful trap set by our Ego on the path to the perfect Spirit. The one who will overcome it, will discover more for himself than he would dare hope for. Hail to the Winner – because Knowledge will be his prize, because the Truth will be revealed to him. This is a very powerful book. After reading it, one feels an unusual burst of energy, of heartfelt vigor. And what is most striking – it is universal in every sense and is relevant for any age! It is in the category of those books that you open to any page and lose yourself in reading, finding there that something innermost to you. The unbridled energy of her inner search leads her to a meeting with an unusual, highly erudite man, a master of martial arts and a very mysterious Personality – Sensei. Impacting one to the depths of the soul, Sensei’s extraordinary worldview, his fascinating philosophy and knowledge about the world and man, about dynamic martial arts, his wisdom in everyday situations, the alternative medicine and ancient spiritual practices (including effective techniques of combating negative thoughts), the phenomena of human capabilities. 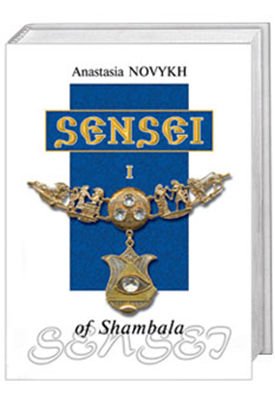 By coming into contact with the Sensei’s world, the heroine comes to know all this and more. But most importantly, she finds the answers to her main inner questions. Thought is a real power. A lot greater than a person can imagine. Thought is capable of moving planets, of creating and destroying entire galaxies, which was originally proven by God Himself. The highest meaning of each individual’s life is the cognitionof his soul. Everything else is temporary and transient, just dust and illusion.